Overview: The Haitian of United States, numbering 587,000, are No Longer Unreached. They are part of the Afro-Caribbean, Francophone people cluster within the Latin-Caribbean Americans affinity bloc. Globally, this group totals 12,110,000 in 10 countries. Their primary language is Haitian. 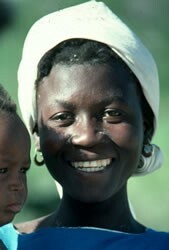 The primary religion practiced by the Haitian is Christianity.